Lucy Hopwood is NNFCC’s Lead Consultant for Bioenergy and Anaerobic Digestion. She has worked in this field for the past 15 years. Lucy comes from an agricultural background and originally specialised in feedstock supply to the bioeconomy, focussing on agricultural, forestry and waste production systems before moving her focus to associated treatment or conversion technologies. Lucy is responsible for providing strategic advice, planning and technical support on bioenergy policies, technologies and markets with specific objectives to de-risk developers and investors decisions and to provide technical support to policy makers to help shape the future policy landscape. Lucy works extensively with clients to help shape the future bioeconomy landscape and to support deployment of and investment in robust and sustainable projects. In her time at NNFCC Lucy has supported DECC (now BEIS) and Defra in key policy decisions, has secured investment for a number of large-scale bioenergy facilities, and has undertaken strategic reviews for public and private sector clients on the future role of bioenergy in the UK energy mix. Lucy’s team closely monitor bioenergy and more specifically the biogas market in the UK and overseas, reporting frequently on current and potential future deployment opportunities and constraints, as well as monitoring feedstock requirements and associated environmental, economic and social impacts and benefits. Lucy is widely recognised as an impartial expert in bioenergy and has been responsible for the Official AD Information Portal for the past 6 years which is hosted and maintained by NNFCC on behalf of industry and Government. 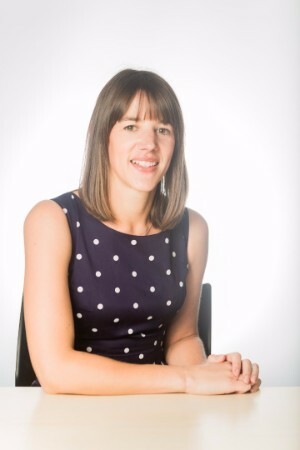 Lucy is an active member in a number of expert industry groups and previously led the AD Strategy & Action Plan working group on improving our knowledge base. She also has an extensive network of contacts throughout the bioenergy supply chain and across all industry sectors, allowing her to make valuable business-to-business and investor-to-developer introductions to facilitate or enhance development activities. Lucy is also managing NNFCC's involvement in the H2020 AgroCycle project, working with 25 other partners from Europe and China, where our role is specifically to look at developing new business models and sustainable value chains to valorise agricultural wastes and residues. Before joining NNFCC when the company formed in 2003, Lucy worked at FERA (then CSL) in the Agricultural and Rural Strategy team, working specifically on non-food crops and market development. Lucy studied at Harper Adams University College and graduated in 2002 with a BSc (Hons) in Agriculture and Crop Management. Lucy is the NNFCC lead for this project evaluating non-food crop option for the Island of Jersey. Jersey Royal potato production has been affected by potato-cyst nematode, so NNFCC were commissioned by Jersey State Government to review alternative high value crop options. After undertaking a strategic market evaluation of current and developing novel crop options we prepared a more in-depth business case for each shortlisted opportunity. We considered agronomy, economics, route to market and key opportunities for retaining added value on the island of Jersey in the form of on-island processing, product formulation and branding. Lucy ​was the NNFCC lead on this project commissioned by DECC to evaluate the need or appropriateness of supporting digestate drying as an eligible heat use in the RHI, in both cost and carbon terms. The assessment involved desk-research, industry engagement, cost- and carbon-modelling and development of an impartial position. The report has been used by the DECC (now BEIS) Heat Team to support their policy decisions related to the 2016 RHI Consultation. Lucy is reviewing author for NNFCC's AD Deployment in the UK annual report. Monitoring AD market activity enables us to publish annual reports on AD Deployment in the UK. The report provides a comprehensive regional breakdown of sector development in Scotland, Wales, Northern Ireland and the 10 regions of England, providing detailed information on feedstock requirements, installed capacity and output type (combined heat & power or biomethane-to-grid) for every project. Lucy was the NNFCC lead on this strategic review. NNFCC reviewed commercial and developing biological and thermochemical gas production techniques and their compatibility with biomass for a large European gas distributor looking at how renewable gas may feature in a future sourcing strategy. Working alongside an associate partner we prepared and presented 20 technical factsheets and a summary report covering cross-cutting issues such as feedstock availability, compatibility and regulatory constraints. Lucy was the NNFCC lead on this feasibility project. Networking of biogas projects to benefit from economies of scale, especially for biomethane injection to the gas network, is something not previously explored in the UK. We undertook a feasibility study, supported by Defra’s Driving Innovation in AD (DIAD) fund, to assess the potential for deploying biogas networks in the UK. We considered the practicalities, current regulations and policies that may prevent successful deployment and compared the economics of a specific test case in the North West region with the more conventional on-site CHP model. The State and Sustainability of the UK AD Sector. Domestic Energy Crops; Potential and Constraints Review. UK jobs in the bioenergy sectors by 2020.